In Valkyria Chronicles, war is a force of nature. Originally created by Ryutaro Nonaka and Shuntaro Tanaka, who both worked on Sega’s long-running Sakura Wars franchise as well as the beloved Dreamcast RPG Skies of Arcadia, the first Valkyria Chronicles game was brilliant. 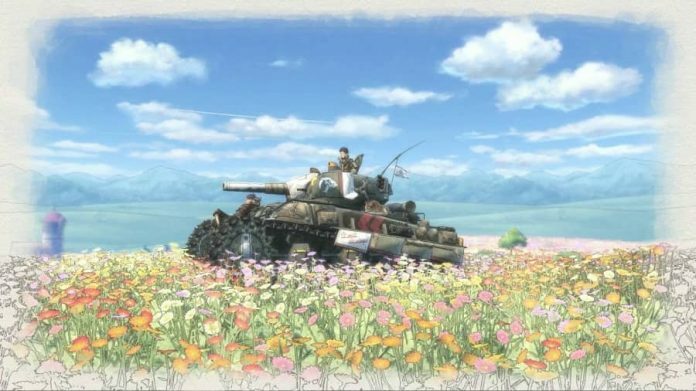 Thanks to a unique combination of a striking art style, inventive combat system, and its endearing characters, Valkyria Chronicles helped launch an entire franchise of tactics-based RPGs, or TRPGs for short. A task that seems astounding for a decade that saw barely any successful releases in the genre to begin with. Yet, just as its characters are unable to escape the looming shadow of war, the series has struggled to meet the high standard set by its first iteration. Valkyria Chronicles II, for instance, was a bridge too far for some fans who saw its concessions as a portable follow-up too frustrating to bear. The next, Valkyria Chronicles III, never even made its way to the west. 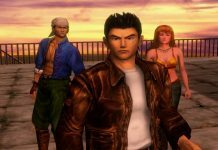 Even now, fans of the series have had to make due with a fan-translated version, which itself wasn’t playable until three years after the game’s original release. Though, what twisted the knife in fan’s backs the most was, after nearly seven years of silence, last year’s Valkyria Revolution seemed like the series’ triumphant return – only to foray into a completely different genre entirely. It is why the series’ latest entry, Valkyria Chronicles 4, may be met with scepticism by most fans. After all, we’ve been down this road before. Yet, it’s clear that Valkyria Chronicles 4 is indeed the return to form that the series has needed for so long. Down to the most minute of details, this is a game modelled after the image of its elder predecessor, the original Valkyria Chronicles. Yet, for as much as I adored my time with the game, in its attempt to recreate a vision of its own past it does too little to leave a lasting impression of its own. 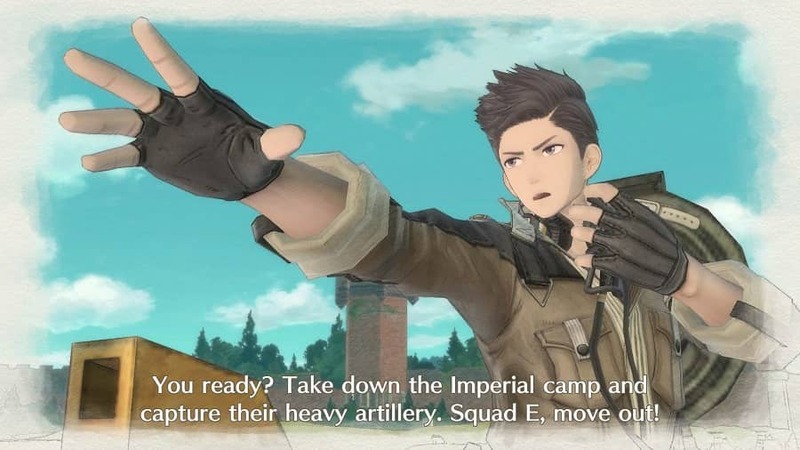 In Valkyria Chronicles 4, we follow Claude Wallace as the leader of Squad E, an elite group of rangers who find themselves in the midst of the Second European War. A thinly veiled analogue for World War II that drops most of the pretences for a more straightforward alternative historical take on events, the war centres on its conflict between the Eastern Imperial Alliance and the Atlantic Federation, of which Squad E find themselves aligned. 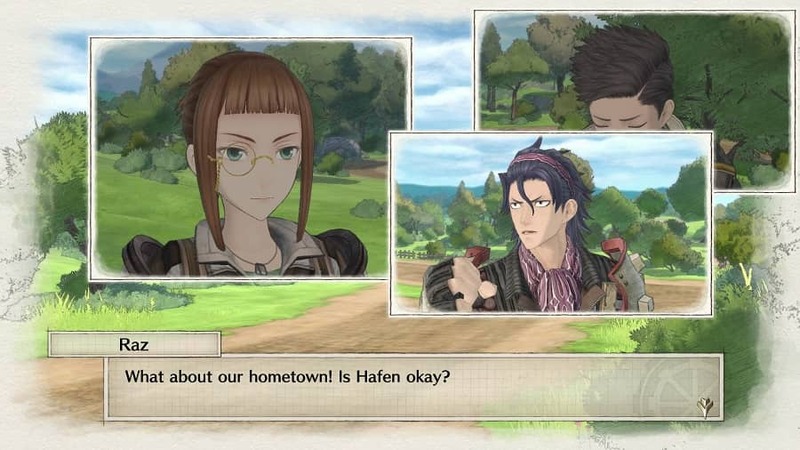 Although it is not particularly explore in this iteration of the game, one of the main differences between the world of Valkyria Chronicles and its real-world counterpart is in the discovery of Ragnite, a mystical energy source that becomes the driving factor of the original game’s conflict. 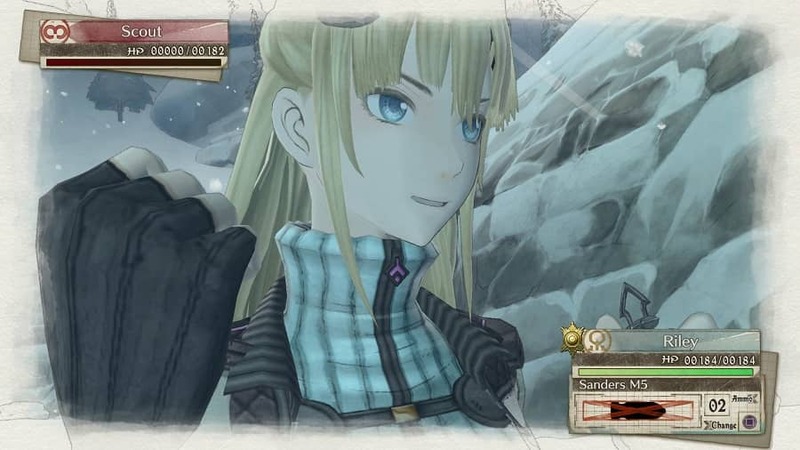 Where Valkyria Chronicles 4 differs from the original game, however, is in its perspective on the war, shifting the focus away from the defence of characters’ homeland of Gallia in the original game to the front lines of a desperate counter-offensive known as Operation Northern Cross. Whereas the characters of the original game found themselves with their backs against the wall, fighting in the very streets they were raised on, Valkyria Chronicles 4 places its characters in a foreign land of which its destruction is arguably immaterial. It reframes the emotional impact of each battle, where the gradual dehumanisation of the enemy manifests itself in different ways. 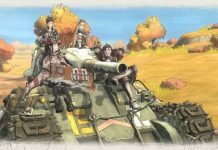 Although Valkyria Chronicles 4 is most definitely concerned with how Squad E’s role in the Second Europan War impacted events on a grand scale, at its core, its story is about the war’s effect on its characters. As Claude Wallace says at the beginning of the game: “It was a battlefield, but it’s where we grew up.” Beginning with many of its characters’ relationships already established, Valkyria Chronicles 4 feels as though it throws players straight into the middle of things. It does, of course, take plenty of time to reveal how certain characters came to know one another, and how their relationships grew over time. 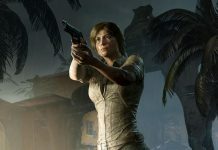 Some of this is done in the expectedly trite manner that the medium is so well known for, trading sincerity for genre pastiche, though the groundwork laid is often an important factor in how these characters end up by the game’s finale. Claude Wallace, for instance, is initially met with resistance as Squad E’s new leader, his old nickname from childhood “scaredy-Claude” returning to haunt him. Yet, his character arc does not end when he proves himself a capable leader to Squad E, but when the events of war force distant memories between himself and a new member of the team to resurface. There is an absolutely abhorrent about of melodrama within most of Valkyria Chronicles 4, sometimes bordering on becoming a soap opera plot. That all comes with the territory, however, of a game more concerned with its characters and their relationships than with the broader strokes of war itself. Just as with the original Valkyria Chronicles, this is undoubtedly one of Valkyria Chronicles 4’s highlights. An unabashed reverence for the people in its story, it’s able to balance between the heartbreaking and the hilarious on the turn of a dime. 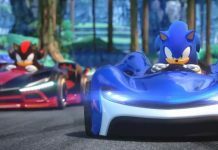 At the same time, however, it would be disingenuous to forget that the original game released into a much different environment than the one the series’ latest entry finds itself within. No matter what aspect of its story you find the most appealing, at its core, Valkyria Chronicles has always been a game about people fighting against the forces of authoritarianism and fascism. In Valkyria Chronicles 4, it has very little to say on the topic at all. Ultimately, as much as I enjoyed its story and characters, it feels as though its holding many of its punches, afraid to say anything of importance about its place in the world today. It’s true that, because Valkyria Chronicles 4 is a TRPG, its story could be thought of as merely a means to an end. That the real meat and potatoes of the experience, so to speak, is in its combat. As could be expected, the classic BLiTZ battle system makes its return with as few changes as possible to its overall formula, leaving it mostly as it was in the original Valkyria Chronicles. As with almost any strategy or tactics-based game, each battle begins with a set of success and failure parameters that, in many cases, change as different elements are introduced into each battle. Divided into player and enemy turns, you can only perform so many commands within each turn, usually depending on how much CP you have available. Commands begin in the appropriately-named Command Mode where you’re able to look at the battle from a tactical top-down perspective, choosing which unit you’d like to command. Once selected, the game transitions to Action Mode, where you’re able to command your unit at the ground-level from an over-the-shoulder third person perspective. It’s no surprise to see this classic battle system make its return in Valkyria Chronicles 4, especially after how divisive the action-combat system of Valkyria Revolution was. Although it’s a far cry from the likes of your average third person shooter, Valkyria Chronicles’ classic combat is a marriage between multiple genres, allowing you to aim for your units yourself as you choose what part of enemies to target. At large, there’s barely anything new here in terms of its combat other than the introduction of the new grenadier class, which seems a bit too overpowered in most instances. 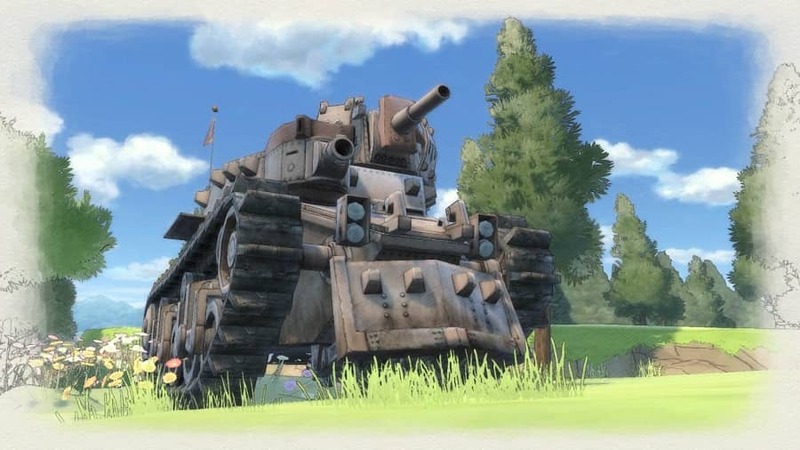 Although battles are noticeably more difficult than in earlier entries as the game forces you to deal with more than you may expect earlier on in the game, returning players will probably still feel a little too familiar with Valkyria Chronicles 4’s systems. Sandbags and the like are still equally as destructible; units’ “likes” still play into who they’re more likely to tag-team attacks with; and classes seem more or less the same. 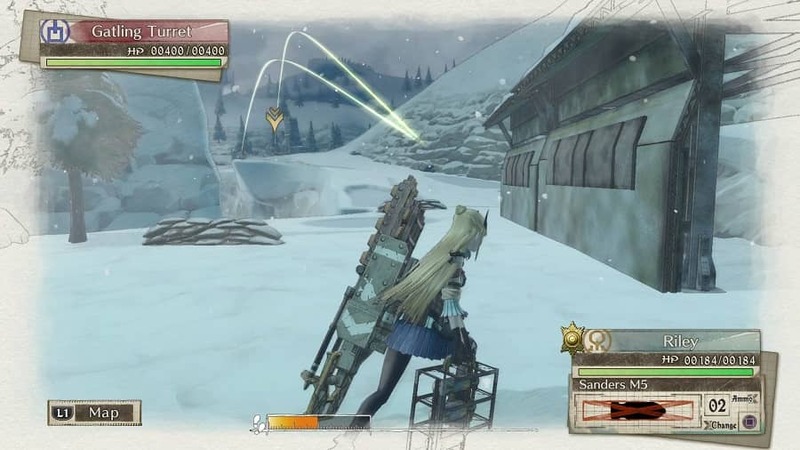 There are a number of new weapons to take advantage of from the outset, which helps paint Squad E differently than Squad 7, but even still, there is little to differentiate Valkyria Chronicles 4 from its predecessors. What makes it all even more egregious is that many of the complaints from past games – like the tank unit’s poor controls – still haven’t seemed to have been ironed out. All too often you’ll be spending valuable AP as you try to move your tank out of the line of fire, for instance. Stuck on a corner piece of geometry, I ended up fiddling with my controller all so that I wasn’t hit in my tank’s glowing blue weak spot and instantly taken out. There’s also a problem with how the game interprets what will and will not do damage, sometimes letting attacks land right on target without doing a single point of damage. I wish I could simply admit that this was simply a user error, that I had merely done something obviously wrong, but the game never gives you the information to understand the situation, nor the ability to course correct. Simply put, outside of more straightforward encounters between two soldiers, I often didn’t know if a tank shell or a grenadier’s mortar fire would even do what they were supposed to do. That’s not to say that Valkyria Chronicles 4’s combat is bad, per se. It is disappointing to find that the game would rather play things safe than evolve past the original game’s tried and true formula, but in truth, there’s a reason why the saying “don’t fix what isn’t broken” is so popular. For anyone who has recently played through the original Valkyria Chronicles, you’ll know as much as I do that the original combat system still holds up incredibly well. It’s one of the great aspects of TRPGs in general, that their combat systems rarely feel as aged and antiquated as their standard RPG counterparts do. More importantly, if I’m being honest, it would be insincere of me to criticise Valkyria Chronicles 4’s lack of ambition despite how much fun I had with it. The structure of Valkyria Chronicles 4, as it is with the rest of the game, is nearly identical to that of the original. Its upgrade system is just the same. The same could be said about nearly every aspect of the game, going so far as to make it seem like Valkyria Chronicles 4 has an identity crisis of its own to deal with. Is it truly the next mainline game in this well beloved series? Or is it simply a halfway measure meant to appease heartbroken fans, to tide them over until Sega releases the maybe-it-won’t-even-exist Valkyria Chronicles 5? Getting bogged down in this hypothetical isn’t my place, however. All I have is Valkyria Chronicles 4 in front of me and, despite all it does to remind me of its own past, I still can’t help but love it. Perhaps that speaks to the nature of the original game, a product that I never thought received the attention it deserved. At least, not in mainstream gaming discussions. What remains, even still, is a sense of contradictory emotions. I do love Valkyria Chronicles 4 for many reasons. Its characters are more endearing than any I had encountered in the series thus far and its systems and mechanics are still as engaging as ever. However, there is still plenty going against even its most positive attributes. Unable, or simply refusing, to acknowledge its own identity as a product of anti-fascist ideals, I can’t help but find its story underwhelming. More concerned with its own past than its future, I also can’t help but find its systems simply more of the same. That even at its best, I’m still reminded of how it could have been better. Though, to be clear, that doesn’t make Valkyria Chronicles 4 bad. All it does is force me to admit that we can all sometimes become prisoners to our own nostalgia. Valkyria Chronicles 4 is available on PC, PS4, Xbox One and Nintendo Switch. We reviewed the Xbox One version of the game.